NEW YORK (CNS) — Along the way to completing her new biography of St. Joan of Arc, Kathryn Harrison renewed her Catholic faith in a way that surprised her: She discovered the Latin Mass. Harrison, along with her mother, converted to Catholicism from Christian Science when she was 10. Like many of those on spiritual journeys, she sometimes drifted from her adopted beliefs during the ensuing decades. Then, about a year ago, she started attending the Extraordinary Form of the Roman Rite, as the liturgy celebrated according to the 1962 Roman Missal is formally known. Some Catholics regard the rite as a throwback to the period before Vatican II. Harrison, though, was taken with it at once. 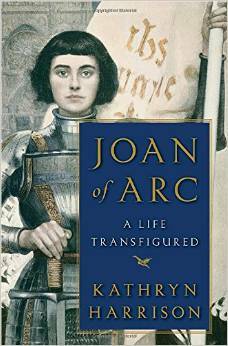 “Joan of Arc: A Life Transfigured” (Doubleday, $28.95) is Harrison’s 14th book. Her earlier works include a biography of the 19th-century Carmelite sister St. Therese of Lisieux, published in 2003. Although she is also the author of more than half a dozen novels, Harrison is perhaps best known for her 1997 memoir “The Kiss,” which details an incestuous relationship with her father that began when Harrison was 20. St. Joan of Arc has inspired literature for centuries — and film profiles since the medium’s earliest days. Guided by visions of Sts. Michael, Catherine and Margaret, the teenage French peasant initiated a reversal in her homeland’s fortunes during the Hundred Years’ War against England, and made possible the 1429 coronation of the Dauphin, or heir to the throne, as King Charles VII. After a long trial controlled by authorities favorable to England, Joan was burned at the stake as a heretic in 1431. She was just 19. Joan, a political icon in France to this day, left behind a vast paper trail, a highly unusual legacy for any 15th-century figure. Pierre Cauchon, the pro-English Bishop of Beauvais who imprisoned Joan and directed her trial, ordered the creation of detailed transcripts which he thought would validate Joan’s prosecution in the eyes of history. They had the opposite result, and have been used to vindicate Joan ever since. Based on the testimony of 115 witnesses, an appellate court called by Pope Callixtus III nullified her sentence 25 years after her death. She was beatified in 1909, and Pope Benedict XV canonized her in 1920. “From the time I read the transcripts of her trial of condemnation 30 or more years ago, I’ve been fascinated by Joan,” Harrison says. “Her voice is so clear. She is so present in her voice — as recorded by the inquisitorial machine that took her life — so alive to me, that she made an irresistible topic. Unusually, Harrison goes beyond the trial records to cite parallels between Joan’s mission and the ministry of Jesus, as recorded in the New Testament. Additionally, she assesses presentations of Joan’s life on screen, among them Victor Fleming’s 1949 biopic “Joan of Arc,” which featured Ingrid Bergman in the title role, and Luc Besson’s “The Messenger: The Story of Joan of Arc” (1999) starring Milla Jovovich.